This comprehensive volume provides a state-of-the-art overview of the key issues and developments in study abroad research and practice with a specific focus on the intercultural and language learning dimensions of the study abroad experience. Rather than looking at individual studies, the book seeks to capture the full complexity of the language learning and intercultural dynamics of study abroad by exploring a wide range of topics of particular interest to study abroad researchers and practitioners, including the role of individual differences, identity reconstruction and interculturality, the challenges of assessing learning outcomes, and recent pedagogical interventions designed to enhance and extend language learning and engagement in these contexts. The volume also takes a step back to look at future directions for study abroad research and offers innovative interventions in study abroad programming that emphasise its intercultural elements. This book is an authoritative resource for study abroad scholars and researchers in such fields as intercultural communication, applied linguistics, sociolinguistics, and language education. 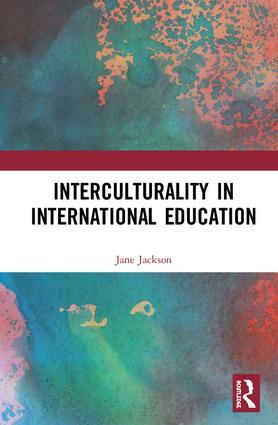 Jane Jackson is Professor of Applied Linguistics in the English Department at the Chinese University of Hong Kong where she teaches language and intercultural communication/transitions courses at the undergraduate and postgraduate levels. Her previous publications include Introducing Language and Intercultural Communication (2014) and The Routledge Handbook of Language and Intercultural Communication (2011).